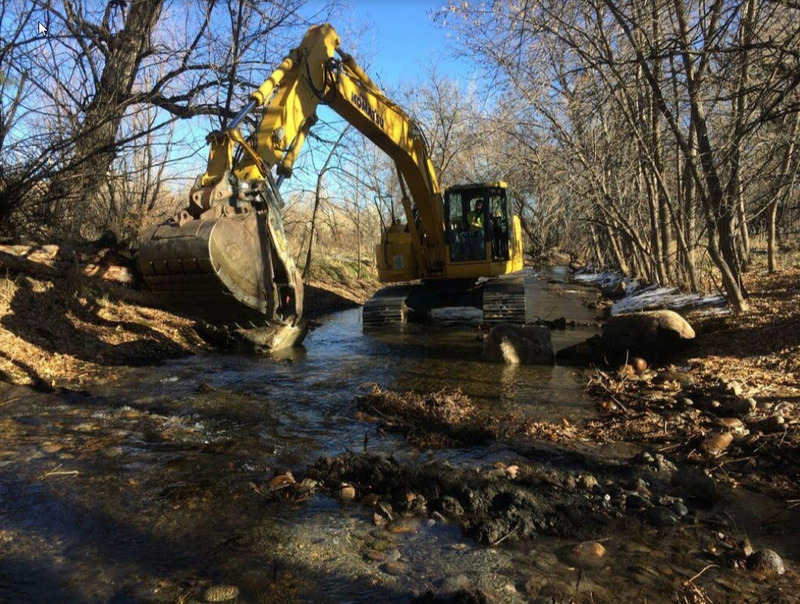 Boulder Flycasters (BFC), the City of Boulder Open Space and Mountain Parks (OSMP), and the Fishing is Fun program from the State of Colorado (FIF) have partnered for a stream restoration project on Boulder Creek in Boulder County, Colorado. 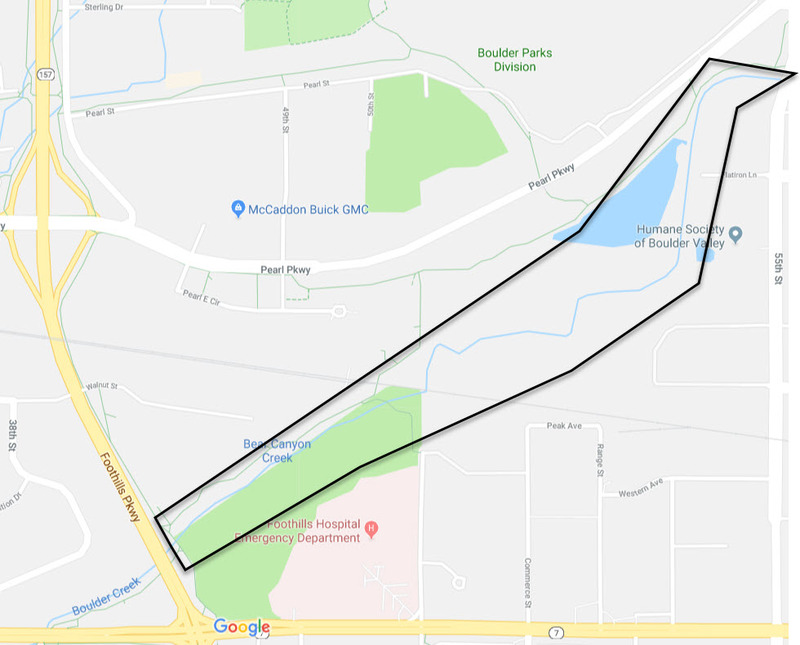 The restoration is taking place in the area commencing at Foothills Parkway and ending at 55th Street, which is the final section within the Boulder city limits in need of restoration after the devastating 2013 floods. Stream channel geometry balanced with the current flow and sediment regime. Implementing natural instream habitat features for the habitat needs of native and sport fish. Constructing a timber/cobble point bar habitat to improve sinuosity. Excavating small pools below boulder clusters and point bars where appropriate. Excavating a low flow channel to concentrate over-winter flows. Adding boulder deflectors to protect existing vegetation from further erosion. Planting native riparian vegetation to stabilize banks and improve canopy cover. Here’s a link to download the Project Summary from Lefthand Excavation & Bio Habitats.